Santa Cruz Guerilla Drive-In yet again is in support of this film screening happening at SubRosa. 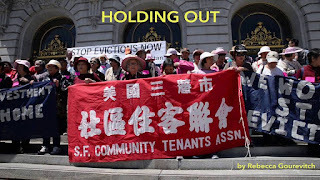 Holding Out - With an eviction crisis reaching epic proportions in San Francisco, the city's residents must navigate changing landscapes and communities, while also facing the loss of their homes. 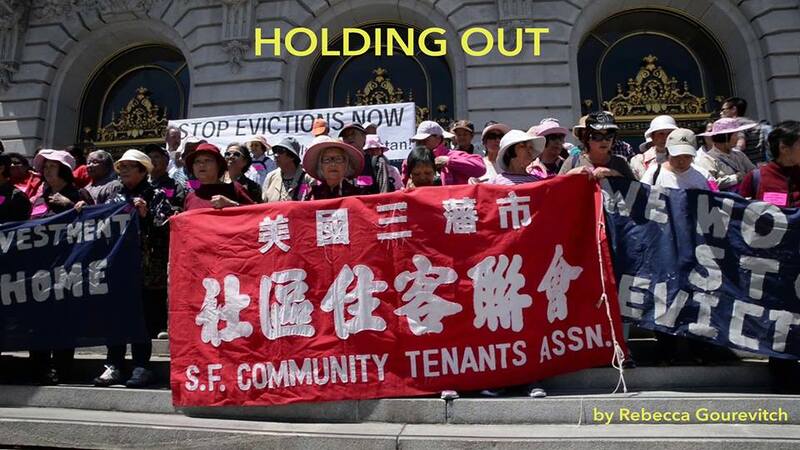 Using storytelling to explore themes of memory, history, and community, Holding Out follows four embattled tenants as they reflect on their lives and fight eviction. Questioning the relationship between developers and City Hall, Holding Out exposes what is at stake, and who stands to lose, in San Francisco's determined quest to assert its role as the tech capital of the world. Filmmaker Rebecca Gourevitch will be present for the after film discussion. SubRosa is in downtown Santa Cruz, CA which is unceeded land of the Awaswas-speaking Ohlone people.